After a long drive from Chicago, we kicked off Day 8 in Minnesota (said in MN accent) ;P. Today, we visited 3 schools!! Wow, what a jam packed day…but so much to share! Most times when we finish our screen-free activity and move to setting up students with iPads, there is a little confusion and it takes some time to get students set up. Not in Minnetonka! Thanks to Jeremy Engebretson (@JEngebretson75) and the amazing teachers at Deephaven, the students were already organized into a class on Kodable, and were very familiar with the login procedures. In less than 2 minutes, each student was playing Kodable and the workshop was moving along again. Since each student was already in a class, they could easily sign in on their iPad and did not have to waste time searching for the correct iPad or creating an account. Each student was able to begin exactly where they left off, and were quickly engaged without any distraction. This made for a seamless transition, and minimized the amount of time students could disengage for the lesson. The time spent adding students to a class led to an enormous amount of time saved down the road during lessons. This makes a huge difference when you have a limited amount of programming time and every minute counts. Memorable moment: Let’s test our code! Throughout the course of the workshop we watched many students input a small amount of code and begin testing to see how far the fuzz would roll before they received an error message. This reminded us the importance of trying and testing our code, as well as not being afraid of failure. This is a concept that we want to try to stress in Kodable, as it is immensely important for programmers when they are writing a program or debugging. Coding coordinators at Deephaven are making a coding curriculum/plan for each grade level. This past year has gone so well that they are planning on doing even more in the future, and making coding an even bigger part of their everyday curriculum. In Glen Lake we switched things up and completed a Kodable workshop with a class of 6th graders! Fresh off a morning of working with 1st graders, we were a little out of our element at first, but quickly hit our stride once we began talking with the students. This experience taught us that any programming concept can be adapted for older students, and can work quite well. We had great discussions surrounding programming, fielded a number of difficult questions, and also learned a lot while playing Kodable. In this particular session, we decided to complete one of the most challenging levels of Kodable together, and see if we could encourage our students to program the fuzz through the maze using the most efficient code possible. This turned out to be an exhilarating experience as the fuzz almost made it through the maze a number of times, but not quite. Eventually we got it, and we were very happy that we chose to do a level together. 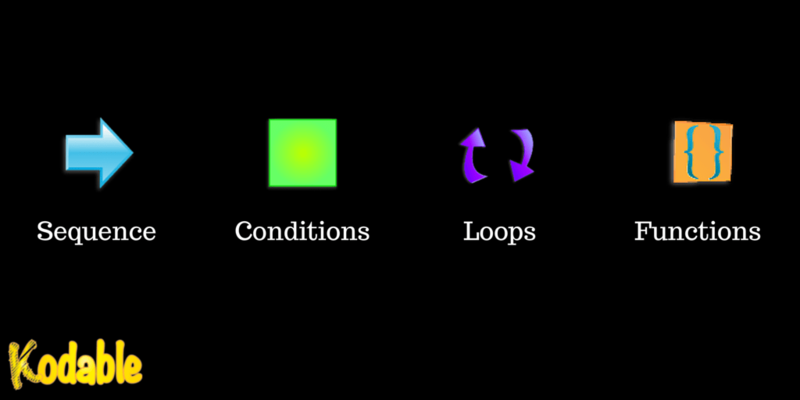 Many students when working on loops levels in Kodable simply like to use the looper to add more boxes so that they can complete their code. To avoid this, we spoke a lot to the students about identifying patterns in each of the technomazes in Kodable. When working with a student, I would always start off by asking them if they noticed any patterns in the maze in front of them. If they did, I would instruct them to then look at the number of boxes available in the command bin. If there did not seem to be that many boxes, then I loop would most likely need to be used. Additionally, we also stressed utilizing iterations for each of the loop. Each loop should never be used just once, but should be used at least twice. When we showed many of the students the benefits of tapping on the looper and increasing the number of iterations, many abandoned the previous methods and started utilizing the loops in a more efficient manner. While we were visiting Groveland, we were fortunate enough to visit one of their Spanish immersion classes, where…you guessed it…all of the students spoke Spanish! This was the first time that we had ever taught programming in another language, and we were a little intimidated at first. However, Grechen and I tried our best to use our limited Spanish language knowledge to fit in and help the students as much as possible. 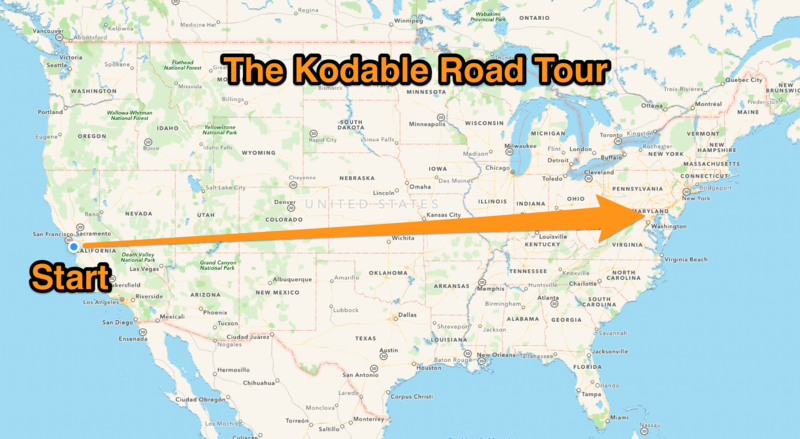 The time for the Kodable Road Tour has finally come! As of this very moment we are putting the finishing touches on our packing, and preparing to embark on our journey to teach programming to schools all across the country. Where in the world is Kodable? Be sure to keep an eye on the blog, as we will keep you up-to-date on our progress and recount our experience at each school we visit. We will also be sharing our stories via Twitter and Facebook. Finally, don’t forget to order Kodable gear along the way! Check out our awesome Kodable Road Trip T-Shirts. 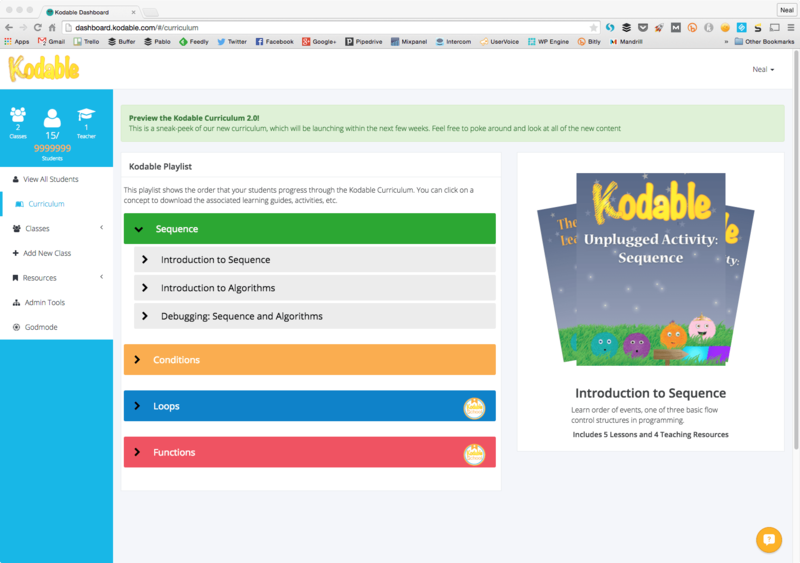 The Kodable Programming Curriculum is LIVE! 3. And voilà! Welcome to your new Kodable Programming Curriculum! 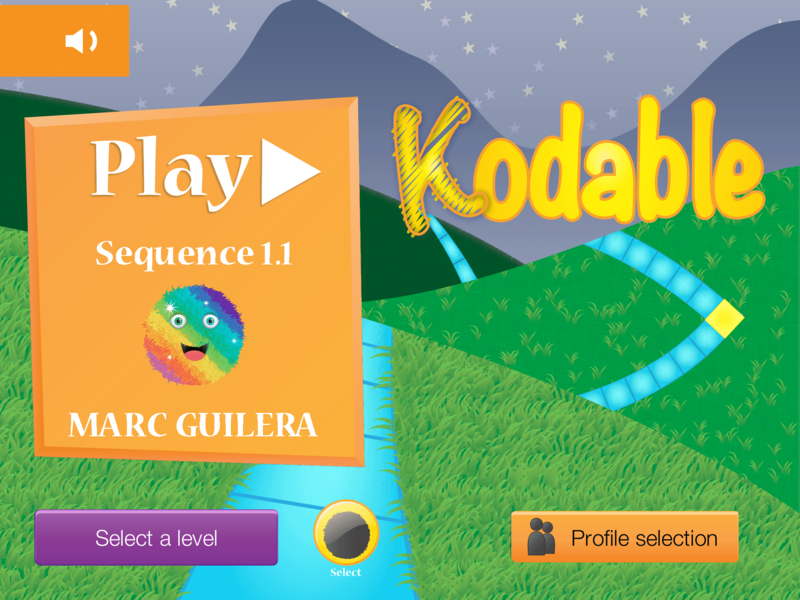 What’s included in the new Kodable Programming Curriculum? Thousands of educators have been teaching their students basic programming concepts with Kodable for over a year. 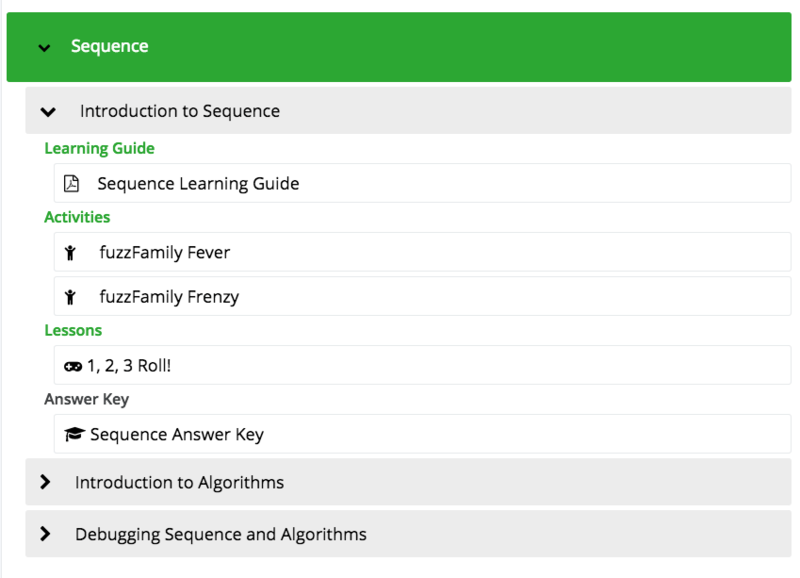 The focus of the new Kodable Programming Curriculum is to make teaching these coding concepts even easier. Organized by concept, the new Kodable Programming Curriculum is a step-by-step guide to teaching your students the basics of programming. Teaching programming concepts can often be intimidating, and sometimes it is difficult to know where to start. Over the course of the next few months, we will be adding resources and making improvements to the curriculum. So keep an eye out for future updates! We all have a technology wish list…but where to find funding? In this #KidsCanCode Chat we not only add to your wish list (unintentionally, I swear), but we come up with some great ideas for fundraising, finding grants, crowdfunding, and getting the $$$ you need. Join us Tuesdays 8pm EST for #KidsCanCode Chat! #CSEdWeek and the #HourOfCode has finally arrived! This week, we talk about how it is going so far!